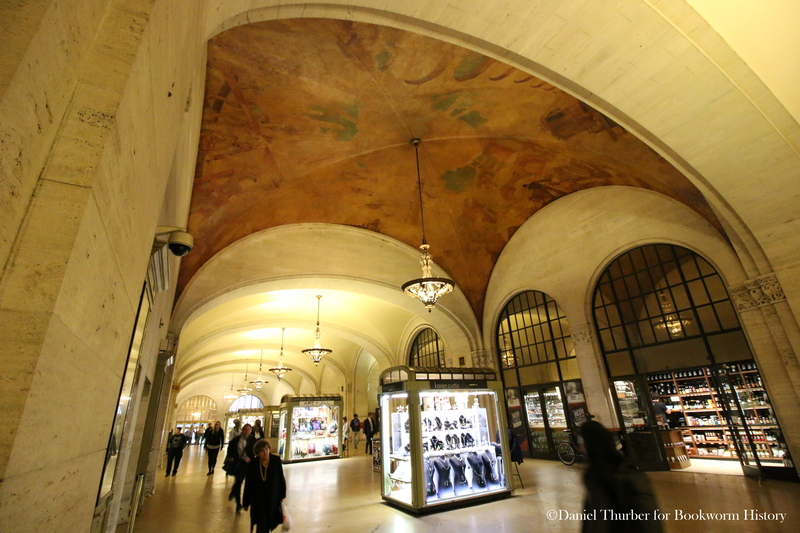 Arguably one of the most famous ceilings in the world, the mural high above Grand Central Terminal’s main concourse is as fascinating as it is awe-inspiring. While much has been written about it (yes, it is mostly backwards and no, no one’s really sure why Orion’s turned the way he is) one detail that seems to be overlooked is in hidden in plain sight, the proverbial fly-on-the-wall. Or in this case, a fly on the ceiling. Even before Grand Central Terminal officially opened on February 2, 1913 New Yorkers were teased with descriptions of the starry mural that had been painted on its vaulted ceiling, with the New York Times telling of its “effect of illimitable space” and how “fortunately there are no chairs in the concourse or…some passengers might miss their trains while contemplating this starry picture.” While the effect the painting has on commuters today is the same, the mural has undergone significant change. In fact, it’s not even the same mural.